The 2011 sailing season will welcome the newest ship in Europe, Viking Prestige, our sister ship to the extraordinary Viking Legend that launched in 2009. Both Viking Prestige and Viking Legend will carry 189 guests on some of our most popular itineraries. 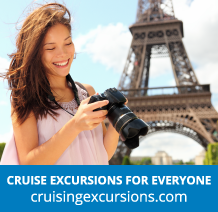 Each of these state-of-the-art vessels has two 310-square-foot suites and 95 staterooms, all deluxe (except for the 5 single staterooms) with either French balconies or picture windows. With good deck height, Viking Prestige and Viking Legend are similar to Viking Sun and Viking Helvetia, but both have a slightly sleeker shape for ultimate flexibility. Best of all, Viking Prestige and Viking Legend are “green” ships, running on hybrid diesel-electric engines that produce 20% fewer emissions and reduced noise/vibration. Cutting-edge design, unmatched comfort and environmentally conscious—Viking Prestige and Viking Legend have it all. Hotel-style beds 79 inches x 63 inches (with optional twin-bed configuration). French balconies (floor-to-ceiling sliding glass doors). Private bathroom with shower and premium bath products. Bathrobe and slippers available upon request. Telephone, refrigerator, safe, hair dryer & bottled water replenished daily. Space under bed for storing suitcases. Roomy wardrobe with wooden hangers. Voltage: 220V and 115V in stateroom. Sony 26-inch flat-panel TV with premium entertainment package including: CNBC, CNN, Fox News, ESPN, National Geographic, MGM Movies, Sky Cinema, videos on demand and “View From the Bridge”. Large private bathroom with bathtub, shower and premium bath products. Walk-in closet with wooden hangers. Two Sony 26-inch flat-panel TVs with premium entertainment package including: CNBC, CNN, Fox News, ESPN, National Geographic, MGM Movies, Sky Cinema, videos on demand and “View From the Bridge”. Single staterooms have a sofa bed. French balconies (floor-to-ceiling sliding glass doors) EXCEPT stateroom #122 (main deck) which has a window that cannot be opened. Half-high picture window 4.76 ft. x 2.13 ft. (cannot be opened).